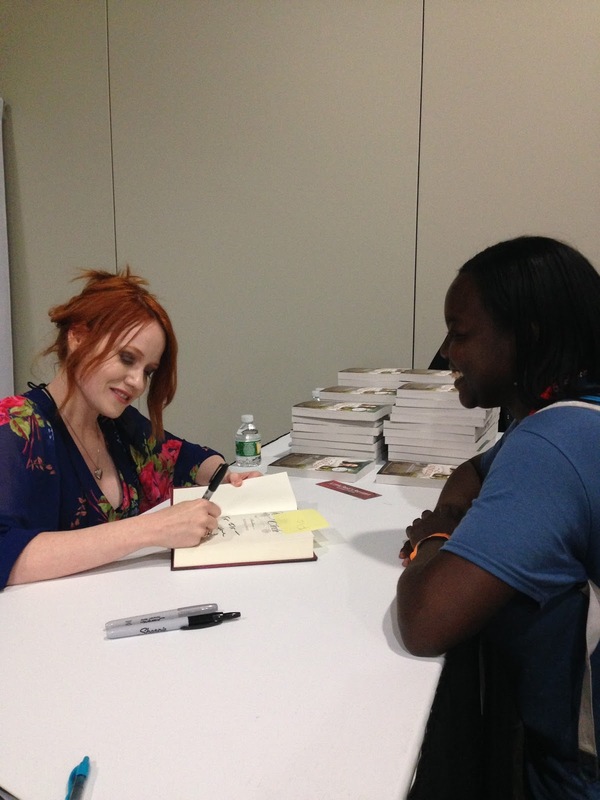 Okay, Richelle Mead is actually signing The Ruby Circle here, but see that stack of books next to her? That's Soundless. And I got one. So this picture totally works for this review. I devoured this book in a day. It was a crazy, crazy travel day full of unpredictability and literally including trains, planes AND automobiles. But I started Soundless earlier in the day and finished it that night when I finally, finally made it home. My favorite thing about this book was the uniqueness. I have not read a lot of books based in Chinese folklore, so I really enjoyed the images that this world painted in my mind. Secondly, I was impressed with the amount of research this story must have taken. According to her author bio, Richelle "has always had a particular fascination with mythology and folklore." But I'm sure this unique story probably took some research. Then, there's the idea of being soundless. How do you describe sound? It had been gone from Fei's village so long, that there weren't even words for it. All the ways I can think of describe a sound right now involved these type of sound words, so it was really neat to read about Fei's challenge with this. Finally, if Richelle wasn't a rock climber, then she had to have done some research on techniques and challenges to help her with Fei's trips up and down the mountain. The beginning felt a little bit rushed to me. Fei makes a really quick choice in what may have been a few hours or even an afternoon, but to the reader it felt instantaneous. I wasn't expecting the ending, and it was entirely magical. It left me with a smile on my face. 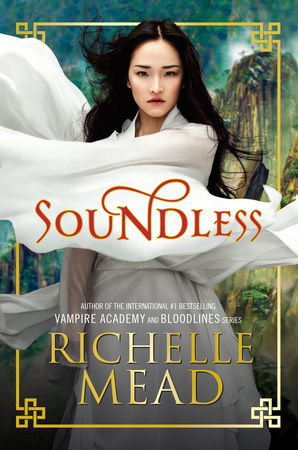 Soundless will be released in November 2015, and it's worth you picking up. This story is a fast read and it's unique and magical. Also, what a pretty cover! I'm fascinated with Chinese folklore, so this book definitely has me intrigued. I'm super jealous. I SO want to meet the creator of Adrian...and this book is on my TBR list. I'm glad to see you enjoyed it. We know she can write about vampires, but I wasn't sure how her non non-vampire series would be.